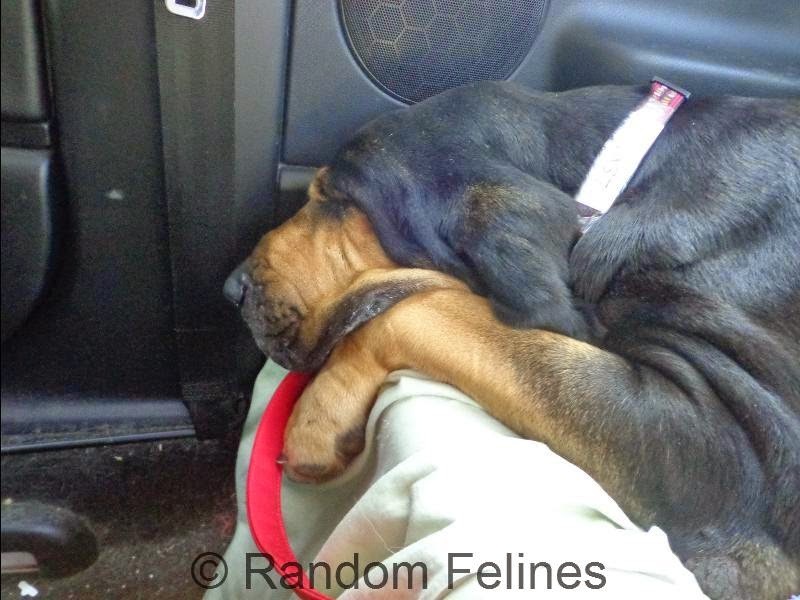 Mom got to drive twice this week for Ontario Bloodhound Rescue. Two bloodhound girls - mother and daughter were rescued from Tennessee and moved to a kennel just west of us until they could be moved to foster care. Nala is 3 years old and moved Thursday afternoon. She is super sweet. Great getting INTO the car, had to convince her to get OUT. :) Nala turned out to be heartworm positive so she got her first treatment before going to foster in Pennsylvania. Lexi is 5 years old and moved Saturday to her foster home in Canada. She was also super sweet. She actually was heartworm negative which surprised everyone since Nala was positive. Lexi got right in the car and settled in for a nap. And update: Lexi is already adopted. Her foster home was one of the head volunteers for OBR. 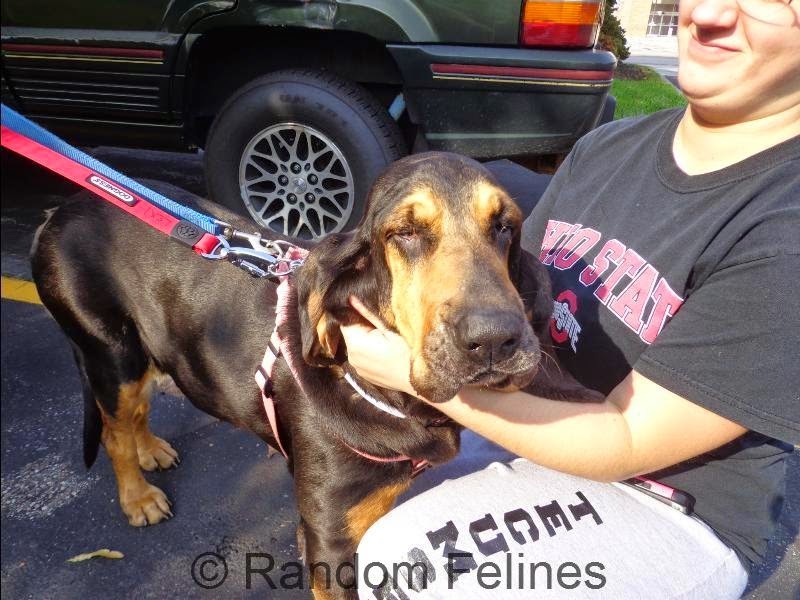 In less than an hour, she posted that Lexi - now Clover - fit in great with their family and their big male bloodhound Humphrey and would be the newest member of their family. :) Congrats!! That is so great that you drive those large dogs all over the place and then they get homes. Good stuff. Have a great Tuesday. Congrats for getting lovely homes for Nala and Lexi (now named Clover). Paws up for a happy tail! The head peep says it's always heartwarming to hear that an animal you transported has a forever home in their new location. Nala and Lexi are just beautiful. Congratulations to Lexi/Clover on her new forever home! Aw yeah for the fast adoption! Hope Nala is adopted just as fast! How exciting that Clover has a new home! 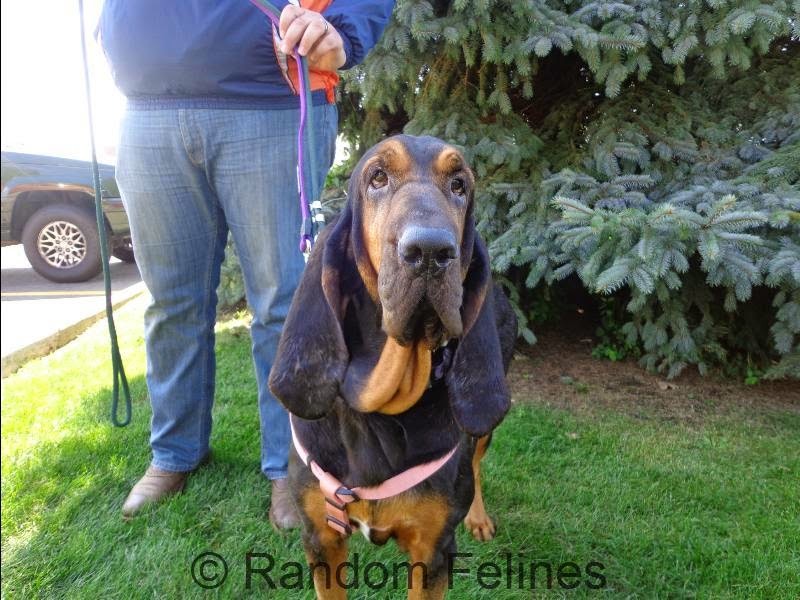 Aw, such beautiful Bloodhound girls! Sharing. Congratulations on Lexi/Clover!! I always like the foster that turn into adoption stories. Concats to Lexi, now Clover! We hopes Nala finds her furever home soon too. PeeEss: Your mom bean seems to really like these woofies, did she ever think of bringing one home? Great news for those girls. Hopefully Nala will find her forever home soon. Yay for Lexie! Paws crossed for Nala. Sharing.